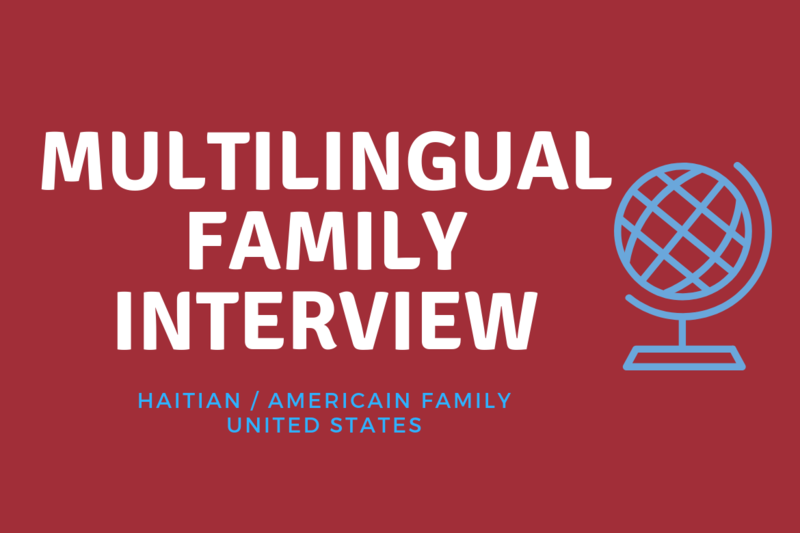 Each month, we share a multilingual family interview from a family around the world. The interview shares their story as a multilingual family as well as their challenges, successes, tips and advice in language learning. I am Rachel and my daughter is Sybil; she’s 12. I was born and raised in Haiti and moved to the US for college and decided to stay. That was about 26 years ago. Sybil was born in the US. We travel internationally once or twice a year for fun and to help maintain her fluency. I am fluent in French, Creole, English and I dabble in Spanish. Sybil is fluent in all four. We speak everything expect Spanish on a daily basis. Are you teaching your children these languages? I taught her French, Creole and some Spanish from the time she was born. I continue to speak them to her to keep her fluent, although she speaks Spanish much better than I do – she has actually helped me with Spanish. Because I am too busy (and too lazy, lol) to create lesson plans, especially for French conjugation, etc… she gets private French lessons weekly to support her writing and fluency. She also has a library with French and Spanish, and of course, English books (I had my mom ship my extensive childhood French book collection from Haiti to get her started). We continue to build on the collection when we travel. Do you homeschool, if so, how do you incorporate the languages into learning? No homeschooling. She attends a rigorous STEM Charter school, where she started learning Turkish last year (that was the only option and it was not immersion, so she didn’t learn much), but because of the very demanding STEM curriculum, I decided to eliminate the language at school. If not, do your children attend a bilingual or multi-language school? She attended a multilingual immersion school for two years in 4th and 5th grade. All subjects were fully taught in French or Spanish (depending on the subject) and everything was done in that one language for that class (assignments, presentations, reading, etc…). This helped cement her French and Spanish knowledge. The school also taught Mandarin and Arabic, but they only got one hour of each of these languages, which is why she is not very strong in those. Keeping her writing those languages correctly. It is difficult because she is already so busy with her STEM curriculum, she hardly has any time for much else. She inherited my fascination with foreign cultures, foods and languages and she is also quite outgoing. It is awesome and rather rewarding to just watch her approach people and just start a conversation in their language. As mentioned, we try to travel as often as we can, whether within the US or internationally and she seeks out speakers of other languages and will engage them in that language if she speaks it and carry long conversations. And if she does not speak their language, she will just ask them about their language and culture. Reading and international travel, as mentioned before. Also, when we are home, I turn on the computer to live French or Spanish radio to keep our brains engaged. We rarely eat out, but when we do, we select ethnic restaurants and seek out places where we can practice our languages and if we don’t speak it, we talk to the owners or waiters/servers about their culture. We have started building a small foreign language DVD collection and try to watch sometimes. We don’t watch TV in general because I don’t want to encourage it, so it is a bit difficult to get us to sit down for that, but I think it would be a good habit to develop, maybe on Friday nights, rather than waste the time watching some poor TV show. There is a small independent theater in Orlando that offers foreign movies with subtitles sometimes. I take her when the movie is appropriate, no matter the language. 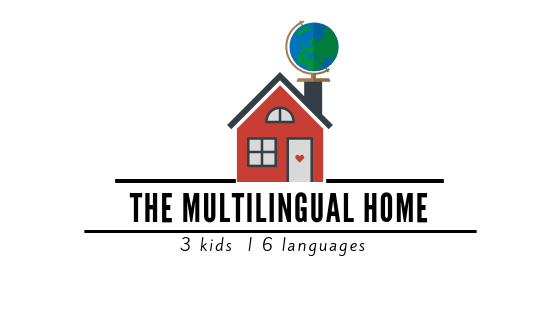 What is some advice you would like to offer to other multilingual families ? I have heard people worry about confusing their kids by exposing them to various languages. I want to encourage them and let them know that this should not be a concern. My siblings and I were raised in Haiti speaking creole everywhere and speaking French at school and at home. We also learned English, Spanish, Latin and in some cases Greek (to help with etymology) and we were never confused. My daughter would mix the languages when she was very young but that only happened a few times and did not last long. Name up to 3 resources you find useful for your family. Travel internationally as much as you can, if you can afford it. Purchase books from those places and enjoy reading them together. Which language would you recommend someone to learn and why? Spanish is very useful and easy to practice in many parts of the US; French somewhat useful but harder to practice here. Mandarin is becoming more and more popular and important in the world, so it’s a good one to pick up as well, but very difficult to learn for us native English or French speakers. My name is Rachel and I am 45 years old. I was born and raised in Haiti and moved to the US at 19 for college and decided to stay after completed my studies. My daughter is 12. Together, we speak Creole, French and Spanish in addition to English. Foreign languages and cultures are our most important shared interests.You can find Rachel on Facebook here.